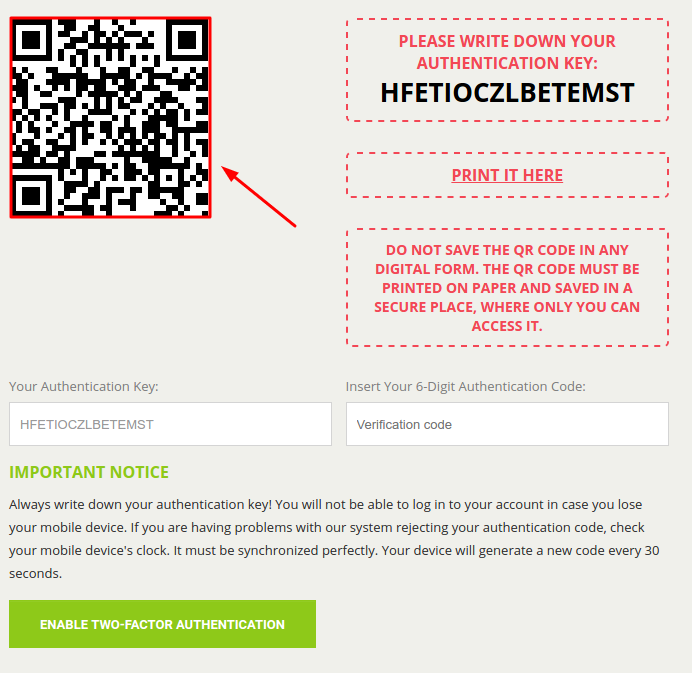 The best 2FA token to protect your Bitstamp account! How to add hardware OTP token Protectimus Slim NFC to Bitstamp cryptocurrency exchange. 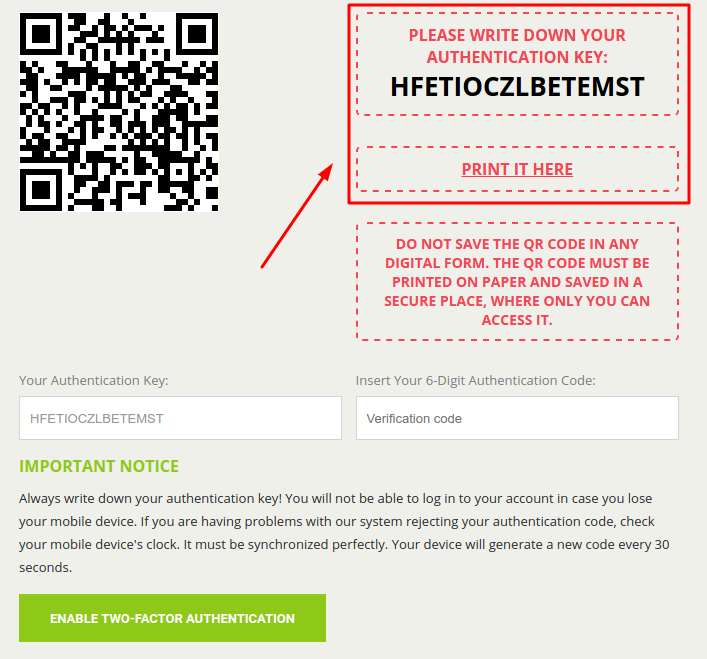 Write down or print your authentication key to use it as a backup in future if needed. 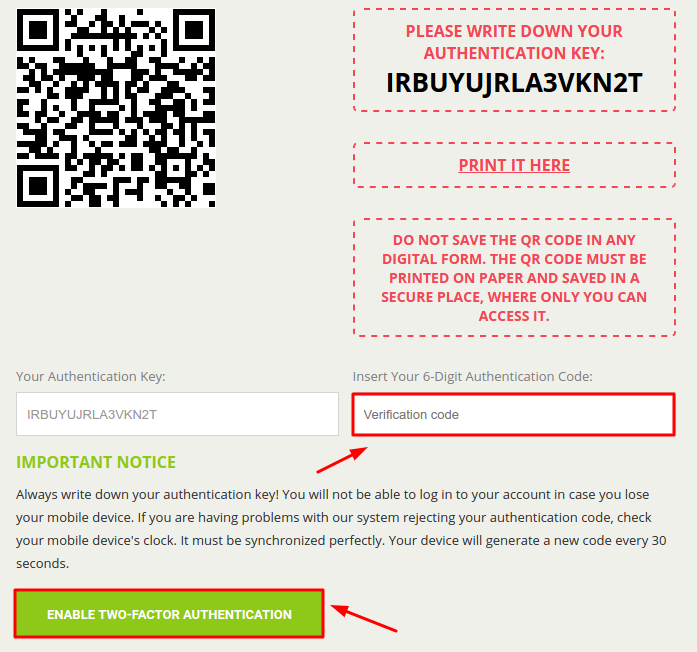 To finish the token enrollment enter the one-time password from Protectimus Slim NFC in the field “Verification Code” and press the “ENABLE TWO-FACTOR AUTHENTICATION” button. Enjoy reliable and convenient protection for your Bitstamp account!